Following the announcement Wednesday morning by Rep. Darrell Issa, CA-49, that he will not seek re-election for his congressional seat, Diane Harkey of Dana Point announced she will run for it on the Republican ticket. Diane Harkey. Photo: Courtesy of www.dianeharkey.com. Harkey, who is currently the chair of the California State Board of Equalization and was a state Assembly member from 2008 to 2014, said her experience in finance and banking would be a much-needed attribute to Congress. 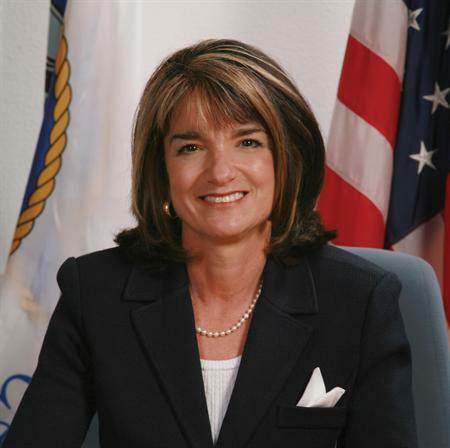 Harkey was the mayor of Dana Point in 2007, and she said her experiences with networking throughout the state and governing tax policies across four counties would make her an exceptional representative at the federal level. When asked about the challenges on the campaign trail she will likely face—Issa, a Republican, had his closest election in 2016 after easily defeating Democratic candidates since 2001—Harkey said she thinks the Republican contingency is still strong enough to elect her to The Hill. “It’s still a Republican-favored seat. Whenever an incumbent leaves, there are a bit more (political elements),” Harkey said, adding she’s already assembled a team of consultants and advisers for her campaign, including John Franklin, who worked as Issa’s political director. Five other candidates have already announced their intent to run for the coveted congressional seat. Last year’s Democratic candidate Doug Applegate, who narrowly lost to Issa, is running again. The three other Democrats running include San Juan Capistrano’s Mike Levin, Rancho Santa Fe’s Paul Kerr and Del Mar’s Sara Jacobs. The fifth candidate is Jordan Mills of Oceanside, a member of the Peace and Freedom Party. Harkey also said her experience in the state Legislature included much of the same constituents that are in the 49th district. The Republicans have voted in lock-step to pollute our beaches, and pollute our democracy. None of them should given power over our children’s future. 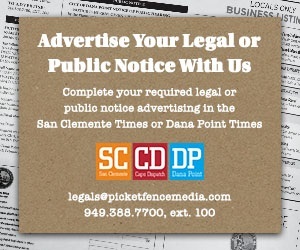 Maybe we can elect a member of Congress who will actually do something about getting the So Cal Edison/SDGE nuclear waste removed from San Onofre?? Issa’s body isn’t even cold yet. Open your books, Diane. Nice to see a woman run, especially after the So County and Sacramento Democrat’s sexual harassment problems.. Should be interesting in the year of the metoo# movement. A successful lady vs a rich child or a guy who was accused of harassment by his wife. But, it will hurt us either way, due to losing one of the top republicans. So we, as a congressional district, should really buckle up and tighten our spending, because in the future we will be getting less benefits either way. To the comments above: San Onofre was due to Harry Reid (D), not Republicans, Read up!! !